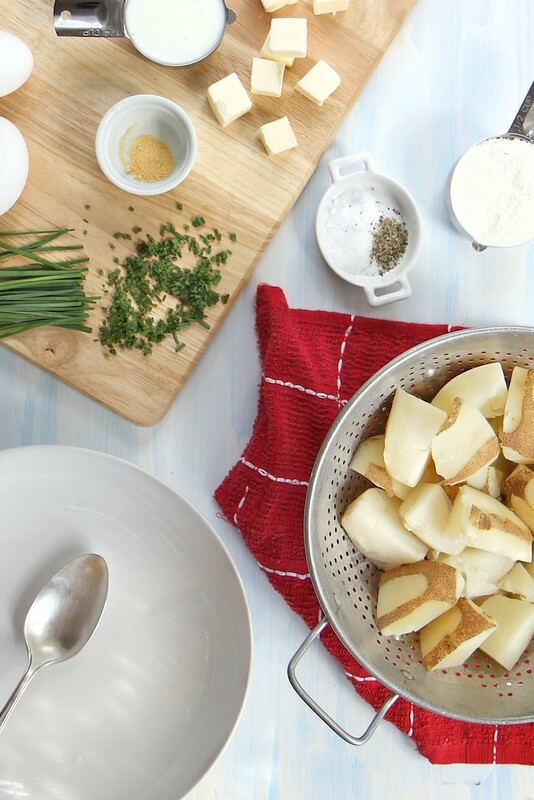 What am I going to do with all of these leftover mashed potatoes (said no one ever!)? How is there a solution to a problem that isn’t really a problem at all? I’d eat mashed potatoes straight out of the fridge with a serving spoon. Maybe I’d put mustard and pickles on the cold mashed potatoes. That either makes me super gross or kinda genius. Most likely somewhere in between. I’ve been daydreaming this waffle situation for a few weeks now. It’s mostly about the transformation of carbs. There’s a formula: transform carb, add cheese, melt, sprinkle chives. This works for any baked potato, nacho, and pizza happening. Look how smart we are. Ps. I figured out what you’re doing this weekend. Waffles. It should go without saying that Mashed Potato Waffles start with mashed potatoes. Since I don’t often have mashed potatoes lingering in my refrigerator, I made some from scratch just for this waffle occasion. We’re mixing out mashed potatoes with browned butter, garlic powder, egg, and buttermilk. Flour, too. Just a bit. These mashed potatoes have some skins mixed in. It’s cool to keep things rustic. 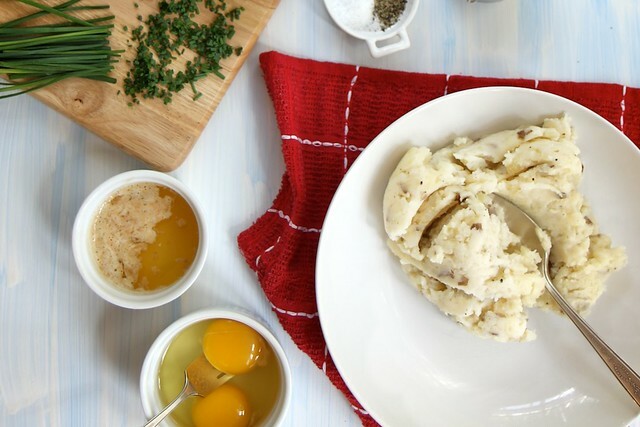 These mashed potatoes are also seasoned to taste with salt, pepper, a bit of butter, and milk. I like to make things taste good before I mix them with other things that taste good. Ya know? A few chives and a little mix. The batter has a few potato chunks. Perfect. I like to cook the waffles so they bake up as slightly uneven rounds. Cheese comes in after the waffles are baked in the iron. Yessss…. My parents gave me this waffle iron for my birthday last year, and I quite like it a lot. It’s time to crank the broiler! I topped the waffles with cheese. I’m going to melt it because that’s just what feels right. 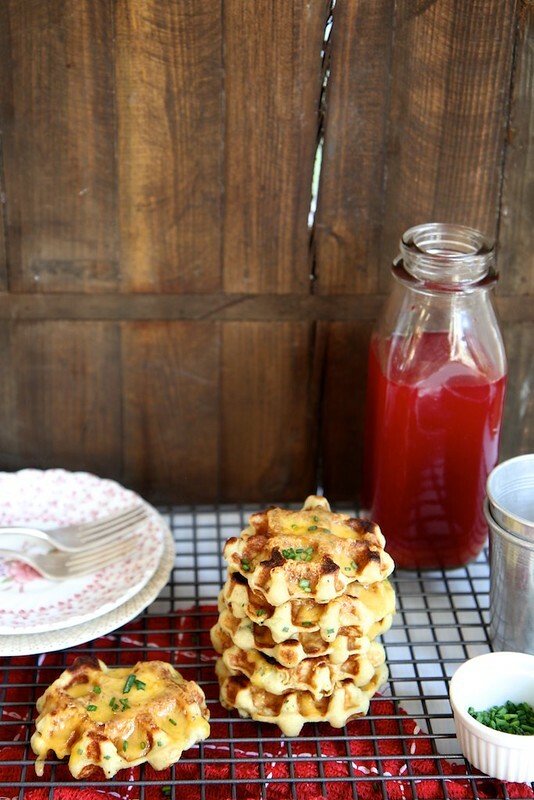 Let’s talk about these waffles… as if we haven’t talked about them enough. They bake soft and solid. There’s also a surprising lightness to the waffles. I like to cool the waffles on a wire rack, because that keeps them from being soggy as they sit and cool. A little time in the oven also helps to crisp the waffles, melt the cheese, and make things that much more enticing. 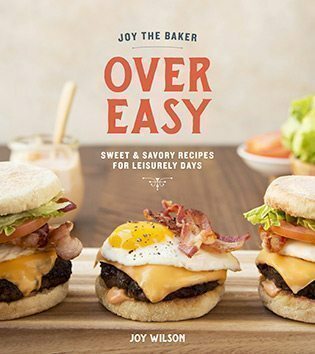 Serve with fried eggs and/or salsa? Good idea. Mashed Potato meets Waffle! Let’s lifestyle it. Melt butter in a small saucepan over medium-low heat. As the butter melts it will begin to crackle and pop. That’s the water evaporating out of the butter. Continue to cook the butter until the crackling subsides and the butter begins to brown a bit. The butter will smell nutty. Immediately transfer the browned butter into a medium bowl. Whisk in buttermilk and eggs until thoroughly combined. Add the mashed potatoes and 2 tablespoons chives and gently stir to combine. In a small bowl, whisk together flour, baking powder, baking soda, salt, pepper, and garlic powder. Add the dry ingredients to the wet ingredients. Use a spoon to mix until all of the flour is thoroughly combined. Try not to overmix the batter. Just stir it until the flour is combined. Heat a waffle iron and grease if necessary. Dollop batter (about 1/4 cup per waffle) into the waffle iron. Cook until golden on each side. The amount of time depends on your waffle iron. Remove waffles from the iron and place on a cooling rack to rest. The cooling rack will keep the waffles from getting soggy on the bottom as they cool. Just before serving the waffles, turn oven to the broiler setting. 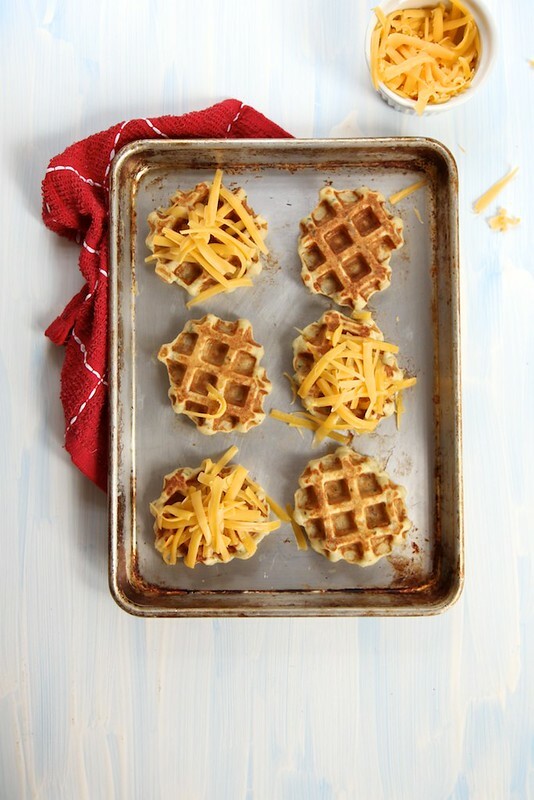 Place waffles on a baking sheet and top with cheddar cheese. 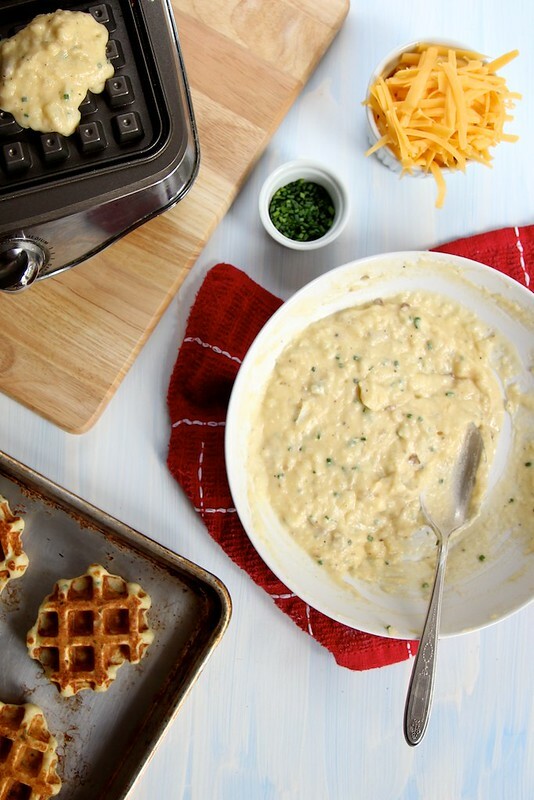 Place waffles under the broiler until cheese is melted, about 30 seconds to 1 minute. Remove from the oven, sprinkle with remaining chives and serve warm (with salsa is delicious!). Let’s talk about how these are kind of perfect for a party. Also, let’s talk about creating a mashed potato bar with a waffle maker as a centerpiece. YES. Yes! I’m hosting a waffle party next week. 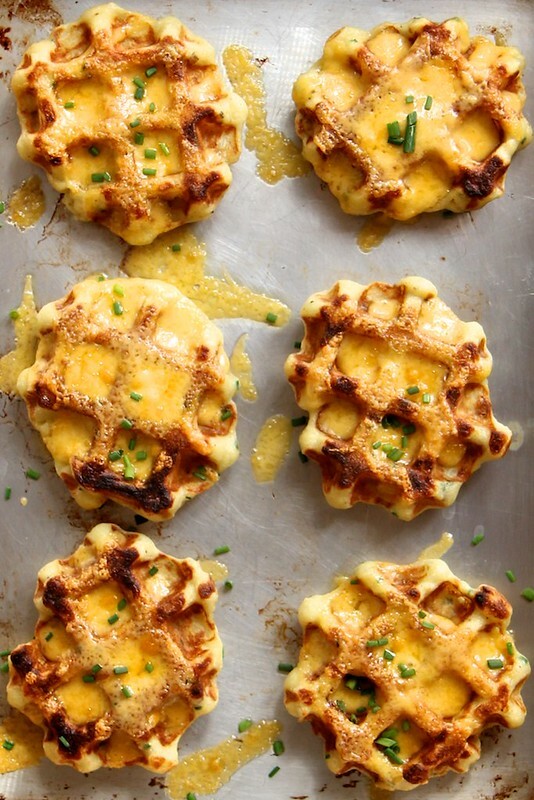 I think everybody would looove to have these cheese potato waffles. Great timing, Joy. Oh, heck yes! We have a waffle restaurant very close to my place in Toronto and my FAVOURITE of all time are loaded baked potato waffles. Having a recipe to make them at home could be very, very dangerous! Ha, your going to slowly kill me with these wonderfully delicious high carb recipes!! I can just taste them right now. I want them right now! Pure genius! These waffled ones and adding pickles and mustard to cold ones! Hey, do you ever make potato pancakes using leftover Thanksgiving potatoes, because that is the only time there’s any in my house? I’ve tried and tried to make them like my grandmother winged it but they always fall apart in the pan. My grandma too! 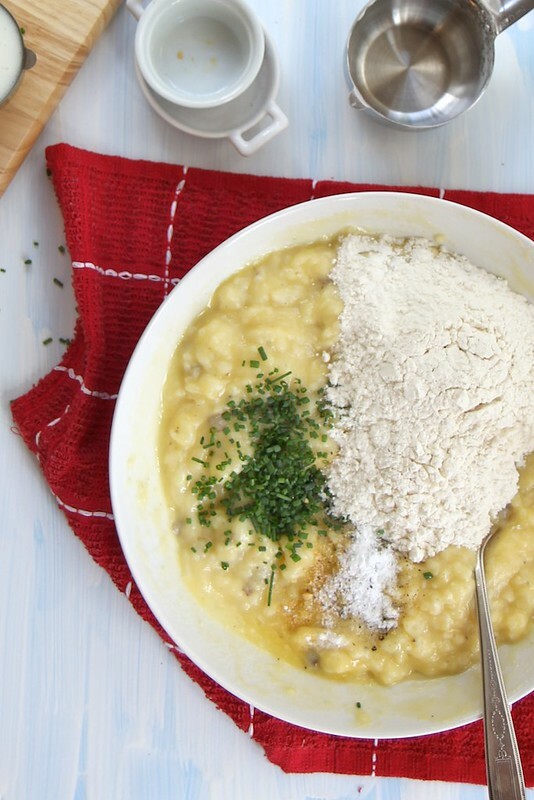 Flour and egg mixed into the mashed potato base. Don’t make them “too loose” she would always say. Heat butter or oil or a combo in a NON STICK pan…only works when frying polenta too. I grew up eating fried mashed potatoes. There are three secrets to success: first, a generous amount of butter in the pan. Next, don’t be in a hurry to turn them over and when you do, do it with confidence (as julia child would say) and last, when you do flip them, have a super thin spatula (think silicone) to do it with. 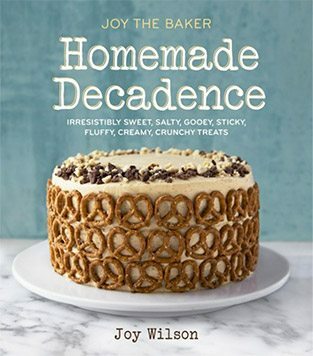 Oh Joy-you are a genius! I mean waffles with maple syrup are divine, but this? Hmmm. Oh my goodness, these look fantastic. Our local pub serves ‘Irish Nachos’ (nachos on potatoes? ), which are great but, alas, processed. These would be a fantastic alternative, cheaper and, actually, yummier by the looks of it. You are a great fortune teller, you predicted my weekend perfectly! Oh….oh I can’t even…yeah….hold me. Potatoes are quite possibly one of the tastiest carbs ever. There is no question that these are my kind of waffles! your writing always leaves me trying to stifle laughs at my desk. 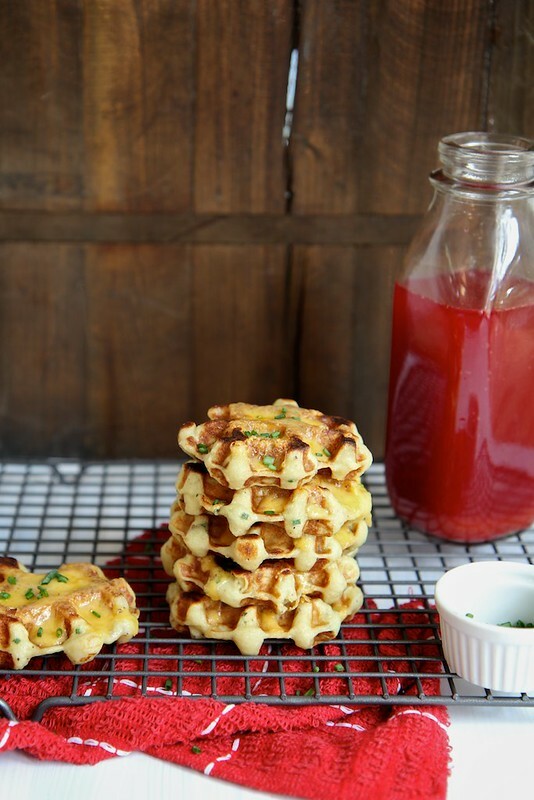 turning mashed potatoes into cheesy waffles (with brown butter!) is just the evil genius that makes me take an early lunch because my stomach is growling. I am thinking you can elevate these to fancy dinner for one by turning it to waffle welsh rarebit. My mind is always on cheese and these are perfect! waffles like that need a nice Riesling!